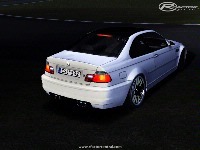 This Demo of our upcoming E46 Mod for rFactor is our first release and features the BMW M3 CSL only. The BMW M3 CSL is one of the most thrilling production cars ever. Although being road legal it features special semi-slick tires, a roof made of carbon fibre, traction and launch control and to make it loose even more weight compared to the standard M3 it even has a boot made out of cardboard. As the first real sucessor of the famous original CSL from the 1970s it also has a real racing Pedigree. And you now have the chance to drive it. - A wide range of more than 40 Rims and Tires to choose from. - Different Sidewindow configurations. Just try the open ones and experience an even closer connection to the (virtual) world around you. This Demo should not be seen as a Beta Version. We gave it Version number 1.0, what does not mean that it is completely free of bugs, but we reduced the number of them to an amount that we are quite satisfied with. If you have trouble with this Demo do not hesitate to visit www.langstreckenmasters.de which hosts the mods support thread. The physic of this car is optimized for the use with original ISI-Tracks! Gjon Camaj and all ISI-Developers for giving us rFactor and encrypting the mesh files. Thank you for your feedback and support. The Demo would still be in development without you. This Demo must not be used in any way for commercial purposes. The only supported downloadsource is www.langstreckenmasters.de. If someone tries to charge money for this mod, please inform us at www.langstreckenmasters.de in the corresponding support thread or via Private Message. The use of the Mod or parts of it in original or modified condition in other mods or compilations for rFactor or any other simracing platform is strictly prohibited without permission of the team of creators. The used logos are copyright and the property of their respective companies, modding group or community. The download service brought to you by the modding group, does not pursue any commercial purposes or profit intentions. The modding group, the online-racing-community LANGSTRECKENMASTERS.DE and the e-magazine BOXENSTOP are private institutions. 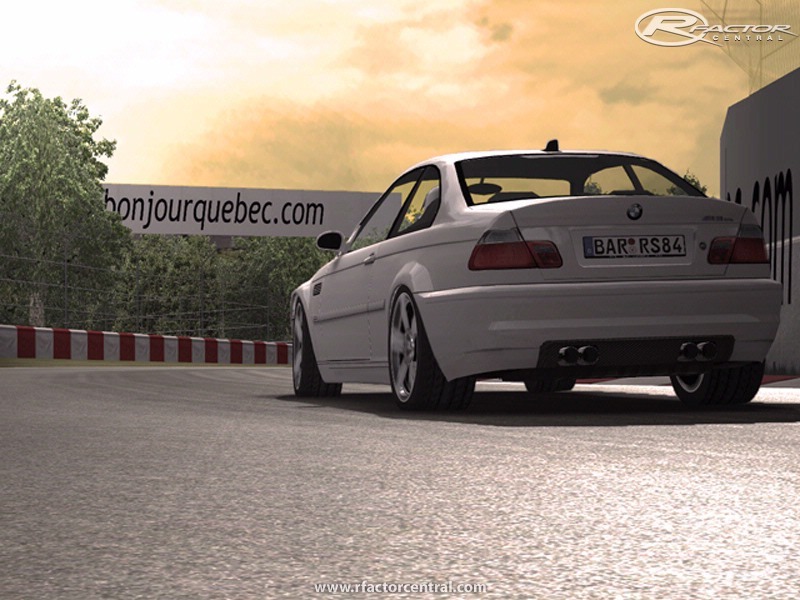 There are currently no setups for BMW M3 CSL Demo. Add a Setup.